2016 Mercedes-Benz GLE 350 in for a full passenger side collision repair. We work with all insurance companies to get your car up and running like it never happened. Refinished with PPG Envirobase by our PPG certified technicians to ensure color match, quality and lifetime warranty . 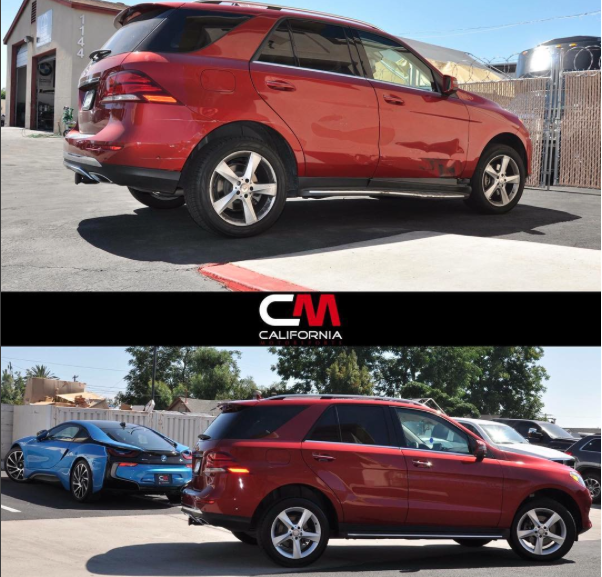 California Motorsports > Car-Customization > 2016 Mercedes-Benz GLE 350 in for a full passenger side collision repair. We work with all insurance companies to get your car up and running like it never happened. Refinished with PPG Envirobase by our PPG certified technicians to ensure color match, quality and lifetime warranty .